"Through the selective exercise of our abilities and skills over the wide spectrum of integrated occupational health and environmental management, we are now a multi-market organisation with solid dependable virtues". We believe Poltech consists of a highly experienced and well-qualified team of experts working in the fields of occupational health and environmental management. At Poltech, we are committed to offer services of the highest quality, in compliance with international standards. Working together with you, the client, and applying only the best available technology and science, we take pride in the fact that we accurately assess health, national and environmental risks, and offer practicable solutions. Our attitude is to build lasting relationships with you the client, in order to forge effective teams that ad value to your business. Industry and commerce are legislated by the Occupational Health and Safety Act (OHS Act No. 85 of 1993). Already, Asbestos-, Lead-, Noise-, Environmental and Regulations for Hazardous Chemical Substances place particular requirements on employers to control conditions at work which might damage the health of their employees. The adequacy of such control measures can be assessed by carrying out health risk assessments and occupational hygiene surveys. – Toxic chemical exposure for e.g. organic vapors (solvents), gases, dusts, mists and fumes. Our team can oversee the entire environmental and occupational health process from assessments and investigations to corrective measure studies, designs and implementation. Poltech can also assist with the planning and development of any required interim remedial measures, as well as manage and document engineering activities. Poltech is further able to offer a turnkey service: drafting of specifications, service and operation manuals, and drawings to client's requirements. The Poltech professional team will work with staff to develop and apply the most effective control methods. – Administrative controls, such as hearing conservation and respiratory protection programs, chemical hygiene or lockout tag out. – Filtration and air quality control systems. – Workstation layout according to internationally accepted methodology. Poltech's occupational health specialists have the capabilities to complete projects within budget, with minimum down time and disruptions to plant operations. – final engineering designs inclusive of specifications, drawings, operations and maintenance manuals. Our services are specifically designed to assist industry with the establishment and maintenance of a healthy workplace. This includes the development and implementation of regulatory compliance programs. Poltech's philosophy is not only to abide by statutory regulations, but also to implement progressive best practice occupational health, safety and environmental programs. Poltech prepares site specific assessments of chemical, physical as well as Hazardous Biological Agents, and the associated effects on the health of employees and the surrounding community. Before carrying out any work, which may be hazardous to health, an employer must assess the likely risks and decide on suitable control measures. By means of Poltech's risk assessment service and methodology we give our clients a clear picture of existing and potential health hazards. – Man: work practices, training, behaviour and health. – Machine: equipment, tools, guards and controls. – Materials: toxicity, route of exposure, quantity. – Environment: facilities, ventilation, heat, cold lighting and noise. Risk Assessment reports prepared by Poltech have legal standing and act as proof of compliance to the requirements of the Regulations for Hazardous Chemical Substances, made in terms of the Occupational Health and Safety Act, No 85 of 1993. Poltech is a comprehensive service supplier of professional occupational hygiene, engineering and consulting services necessary for the successful management of Lead Projects. We have successfully applied state-of-the-art techniques, technologies and protocols to service the needs of commerce and industry according to the Lead Regulations. – Lead management plans as well as operations and maintenance programs. At Poltech lead related problems are met with cost effective, timely and responsible answers. Our experiences have shown that money can be saved and confidence in the remediation program can be achieved by diligent planning and through investigation. With Poltech you can be confident that experienced engineers and occupational hygienists team up to define concerns and formulate a practical, cost effective plan for dealing with them. Control of lead begins with an on-site survey to characterise lead-containing materials, processes and locations. All work will be performed according to SA Standard Method 10 1164 - 1990 as prescribed in the Lead Regulations No. 2001, GNR 236, GG 23175. The presence of lead in a process involving lead does not necessarily present a significant hazard. If the lead problem is managed properly, the risk of lead exposure will be minimised. Being a comprehensive service occupational health and environmental consulting firm, Poltech specialises in meeting the needs of commerce and industry. Our background in a variety of industrial and commercial settings enables Poltech to provide customised lead management programs and related facility design services. Poltech is a comprehensive service supplier of professional occupational hygiene, engineering and consulting services necessary for the successful management of asbestos projects. 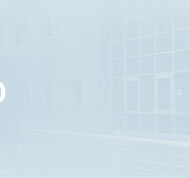 We have successfully applied state of the art techniques, technologies and protocols to service the needs of commerce and industry according to the Asbestos Regulations, 2001. 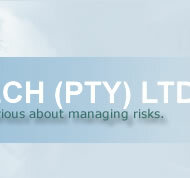 Poltech offers a comprehensive range of asbestos related services throughout Southern Africa. – Asbestos management plans as well as operations and maintenance programs. – Asbestos abatement design, oversight, air monitoring and project management. 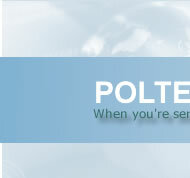 At Poltech, asbestos-related issues are met with cost-effective, timely and responsible solutions. Our experience has shown that money can be saved and confidence in the remediation program can be achieved by diligent planning and thorough investigation. With Poltech our clients can be confident that experienced engineers and occupational hygienists team up to define their concerns and formulate a practical, cost-effective plan for dealing with them. Control of asbestos begins with an on-site survey to characterise asbestos-containing materials and processes, locations, quantity, condition, type of asbestos, percentage of asbestos in specific material(s) and processes. If asbestos-containing materials and processes are identified, Poltech develops a plan of action, based on prudent risk assessment, liability issues and cost considerations. All work will be performed according to the monitoring strategies for Toxic Substances HSG 173 and MDAS 39/4. The presence of asbestos and a process involving asbestos in a facility does not necessarily present a significant hazard. If asbestos is identified, the risk can usually be managed to minimise the chances of anyone being affected. As a comprehensive occupational health and environmental consulting firm, Poltech specialises in meeting the needs of commerce and industry. Our background in a wide variety of industrial and commercial settings enables us to provide customised asbestos management programs and related facility design services. Indoor air complaints are not recognised as health concerns. Since people spend about 70% to 90% of their time indoors, this issue is significant. Assessing and providing solutions for "Poor indoor air quality" cases and other indoor air quality problems requires proven expertise. This website and all content is copyright © Poltech (Pty) Ltd. All rights reserved.